I have a huge weakness for spoiling my cats and you can always find me getting sucked into hours of watching cute animal videos on Instagram. I was scanning Facebook about a month ago and happened to find an ad for meowbox. 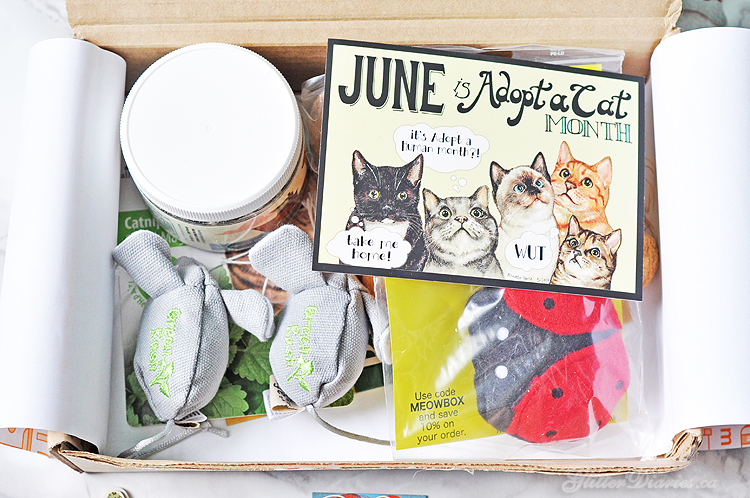 It’s a very cool cat subscription box that ships to the US and Canada and comes with fun toys and goodies that’s delivered right to your door for your cats to enjoy. For the longest time I’ve been wondering if there was something like this in existence, so I knew I had to try it. 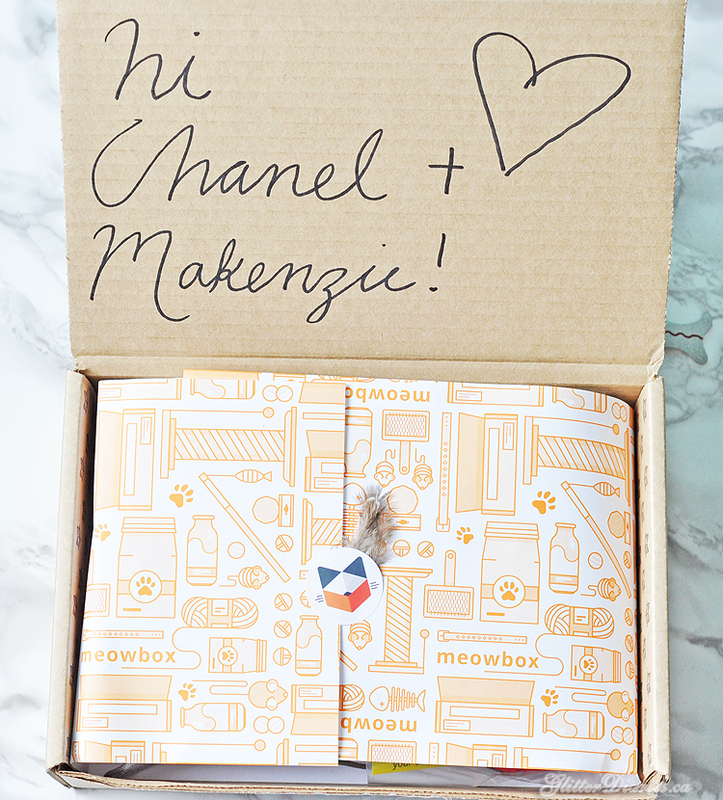 Interested in seeing what the meowbox June subscription box has to offer? You’ve come to the right place! It all started when I went over to meowbox.com to set up my subscription. You start by selecting your preferred subscription plan where you can choose from month-to-month ($32.95), 3 months ($83.85 upfront which is $27.95 per month) or 6 months ($137.70 upfront which comes to $22.95 per month). Shipping is free within the US and Canada. Then you give them some info on your cat(s), like name, age and gender, and there’s an option to replace treats with non-edible items if you would prefer that. Then I received an email notification on June 18th that my meowbox was on its way. Every subscription box order is processed and then released on the 15th of every month and comes with 5-7 items. It only took a couple days after that for the box to ship out to me and arrive on my doorstep on June 21st. The cardboard box was packaged securely in tape and was delivered by Canada Post. I knew before opening the box that my cats were going to enjoy what was inside. They circled around me like sharks as soon as I cut away the tape holding it together. The inside flap of the cardboard box was personalized with their names which I thought was the cutest! The contents were wrapped in kitty-themed wrapping paper which I love and will keep. Here’s what was inside the box..
What I really appreciate from ordering the meowbox is that with every box that’s purchased, a can of cat food is donated to a shelter cat. Plus, you can track where your can was delivered to which is really nice to see. My cats are a bit picky when it comes to food, so I don’t mind that there was only one food item in the box for them. But they are HOUNDS when it comes to anything laced with catnip. If one of them is misbehaving (which is usually Makenzie), all I need to do is give her something with catnip and she calms right down. I love that all of the toys are loaded with catnip and they have now become my secret weapons for correcting misbehavior. I also appreciate that the box is made up of a good mix of brand name toys and hand made items. My cats and I get to discover artisans that I most likely wouldn’t have found out about. Since receiving this box, I’m definitely looking to check out each of the artisan’s Etsy pages to see what else I can pick up for my kitties. 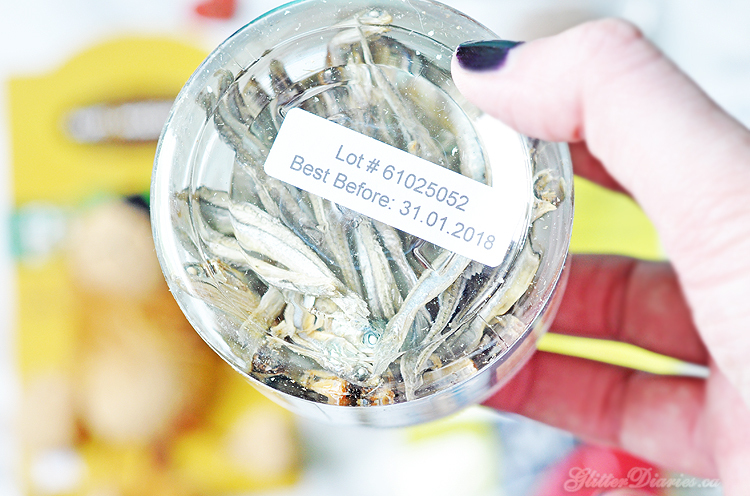 I’m not an eater or fan of anchovy’s so it was a little gross giving my cats the dried fish to eat. I let them dig into the containers themselves and pull one out, because I just don’t have the stomach to do it myself! Overall, I love spoiling my cats with toys and goodies all the time and meowbox makes it even more special because I get to surprise them with something new every month and see how excited they get. If you have cats that you love spoiling as well, I would drop everything right now and start your subscription up pronto! 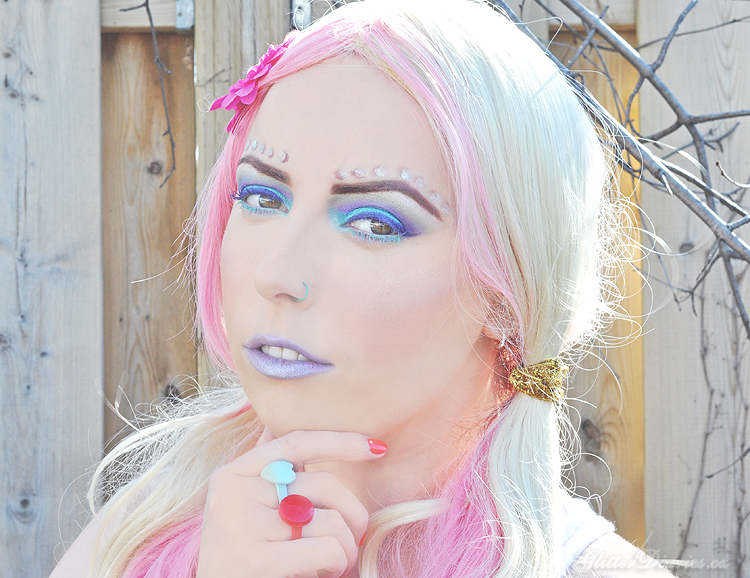 To sweeten the deal even further, when you enter “GLITTER10” when signing up for meowbox, you will get 10% off your purchase! Visit meowbox.com to get started! 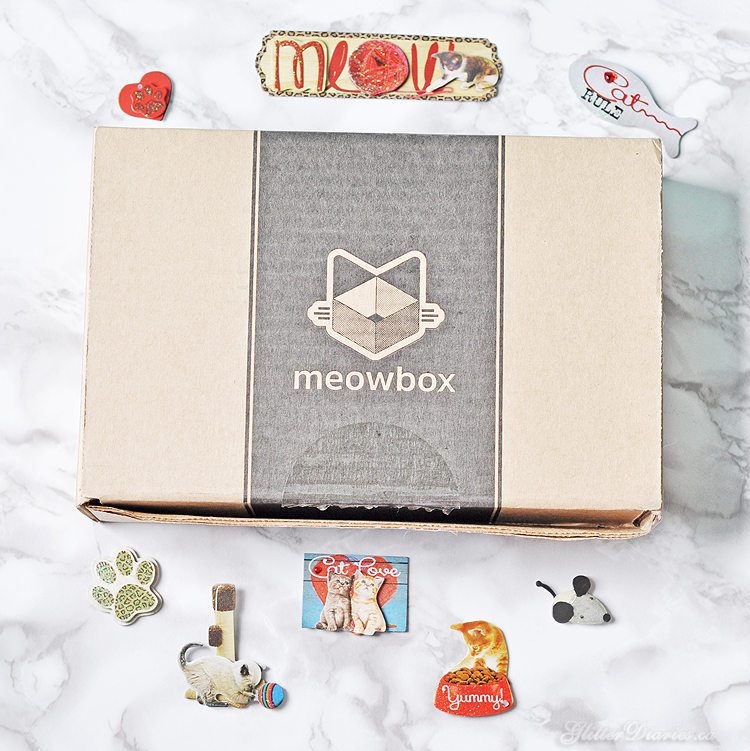 What do you think of the meowbox June subscription box? 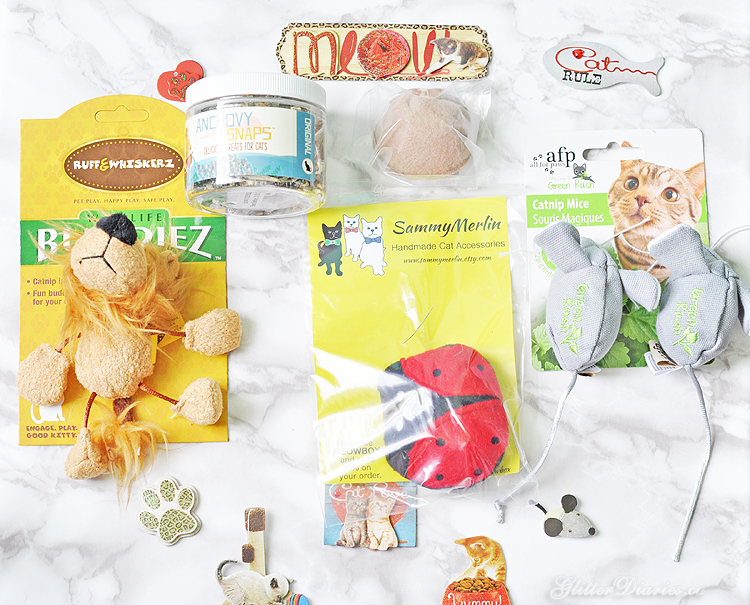 Have you ever tried a cat or dog subscription box before?! Share your thoughts below! 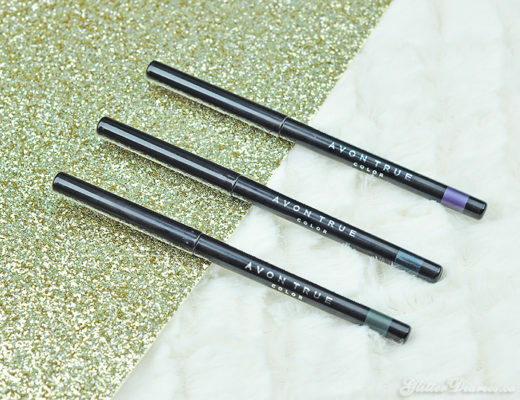 Disclosure: This product was provided at a discount in exchange for review, however these are my honest opinions.